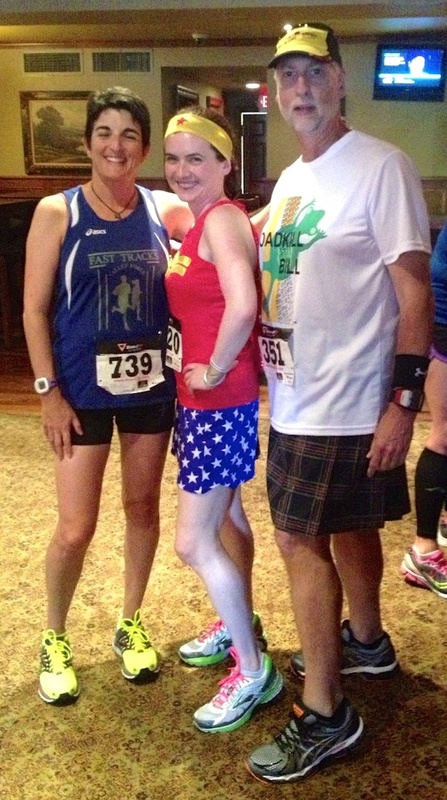 This is a real kilt made of wicking fabric intended for hiking and running, and tonight was my debut wearing it for a race (purchased from SportKilt.com). I had only run once before on a training run to be sure it felt comfortable. It definitely does. I’ll try longer training runs with the goal of wearing it for a marathon at some point. 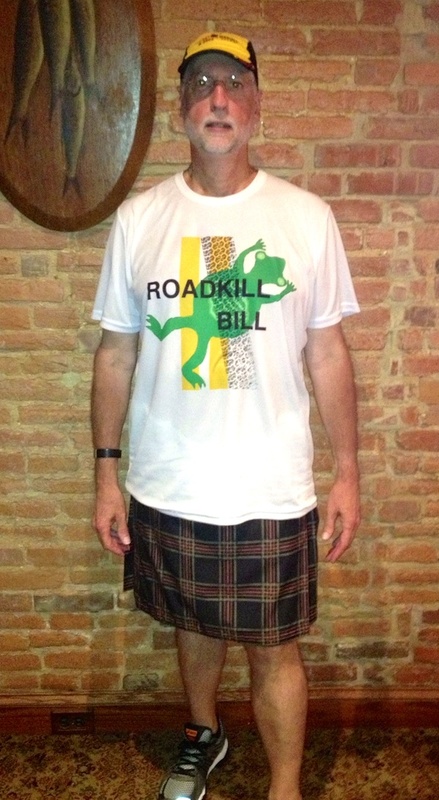 In spite of the obvious variant on my running name, I think I’ll stick with Roadkill Bill and let others make the shift to RoadKilt on their own. My race results were a nice surprise. I really wasn’t expecting to run very fast since I just ran a marathon last Saturday, and my legs have been feeling tired all week. But the crowd lining the Media course is awesome and the weather wasn’t as humid as last year so I managed to do much better than expected. It wasn’t a PR, but I was only off by a minute and a half so I was pretty pleased. 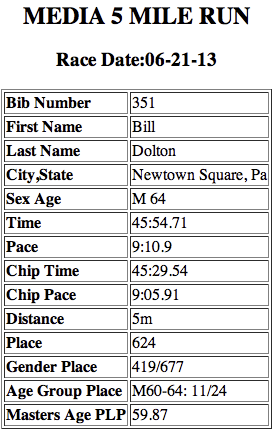 Like last year, a bunch of us from my running club rented the upstairs room of Sliigo’s right at the finish line. 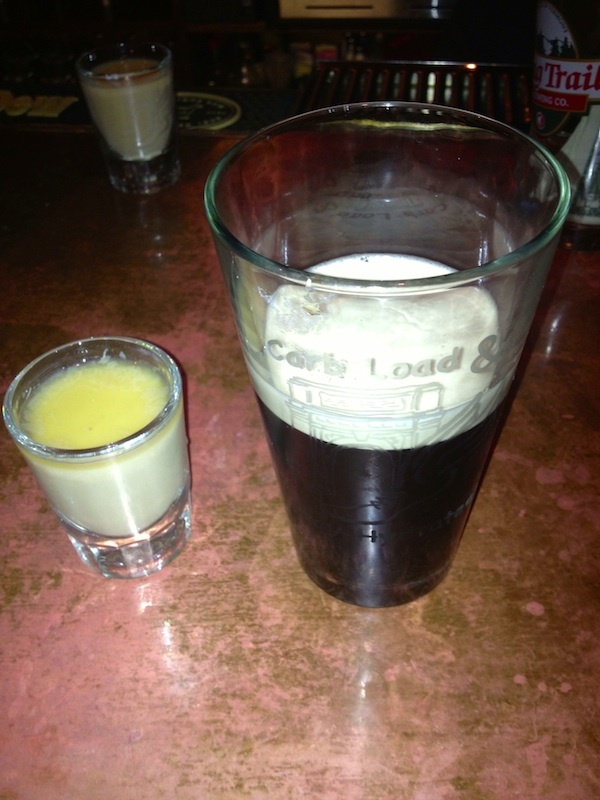 It’s fun to gather beforehand, catch up with friends, then, after the race, we go back upstairs for a buffet and the requisite car bomb. One of the better post race parties, for sure! Visit my wife’s travel blog: http://doltonroad.com.